Euroclad Windows and Doors works with a lot of home builders to install our products in their client’s future home. 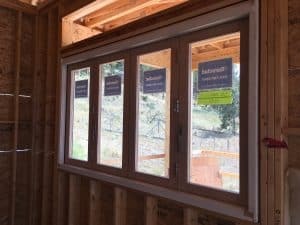 If you can name a home builder in the Okanagan region, chances are we’ve installed windows in one of their construction projects. 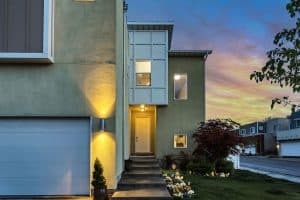 The truth about home construction is that very few homeowners build their own home by themselves. It’s a lot of work, from planning the design, to bringing together all the subcontractors. Homeowners usually hire a home builder to take care of the heavy lifting for them. As you may have read a few weeks ago, Okanagan Glacier Homes spoke about why they choose to work with Euroclad, and why they’ve done so over the last decade. We not only treat home builders like they were building our own home, we treat their clients exceptionally well too. We never want a builder to worry about a client under our care, so we go the extra mile to ensure that’s the case. When you work with a home builder, they will bring you all the information you need to make a decision. They’re the hub of the build, and they’ll be able to tell you what kind of flooring will work with the cabinets you’re choosing, and what various types of windows and doors will work for the home you’re building. Sometimes we’ll just work directly with the builder to order and install windows, while other times the builder will send the homeowner to us to go over some options and possibilities. Either way, we always make sure that the end product is well built, and installed correctly. We stand behind our products, and whether we’re working with the home builder or the owner, we want our products to be enjoyed for years to come. Most of the work we do is for builders, but as you may notice from the articles we post on our site and social media, we’re very much focused on the home owner. When a builder sends a home owner to us to choose windows and doors, we do everything we can to make sure they’ll get the product that is the best fit for their application and budget. We’ll spend as much time as we can with the client before purchase, during the install, and long into the life of the windows and doors, as it’s important that the homeowner knows we’ll stand behind our products. No matter what questions they have, we’re happy to help. When working directly with the builder on behalf of the homeowner, the process is similar, but not quite the same. With many builders, we’ve worked with them on past projects and we know what we can expect from the job, and they know what type of product to expect from us. This relationship really allows us to excel as we’ve already built up the expectations and trust in our products, and now it’s just about getting the job done well and supporting the homeowner. Both the builder and the team at Euroclad are focused on delivering the best experience for the homeowner, and we work together to achieve this. Whether you’re working with a home builder, or doing a home renovation yourself, don’t hesitate to reach out and give us a call, or drop by our showroom, and we’d love to show you what makes our products so great!